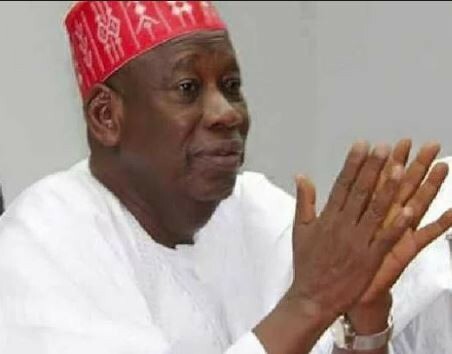 Governor Abdullahi Ganduje of Kano State, yersterday, told the State House of Assembly that he “did not collect, has not collected and will never collect bribe from anybody” as he was recently portrayed in a series of video recordings that went viral on social media. Ganduje made this known via a letter and sent to a seven-man investigative committee set up by the assembly to probe allegations that he collected a $5million cash bribe from contractors. Re: invitation to respond to a bribery allegation against His Excellency, kano. That His Excellency, the Governor of Kano State categorically and unequivocally denied the allegation of collecting bribe from contractors as alleged by the publisher of the online newspaper, Daily Nigerian. That His Excellency, the Governor of Kano state did not collect, has not collected and will never collect bribe from anybody whosoever and for whatever purposes. That the allegation levelled against him is injurious falsehood designed purposely to tarnish his long-established good reputation, reduce his popularity for some political opponents to take undue advantage in the forth-coming general election. That caution should be exercised by handling this allegation putting into consideration the antecedents of the accuser on similar accusations against leaders and rulers in the state, particularly the allegation made against the former Governor of Kano State, Malam Ibrahim Shekarau and the Sarkin Kano, Malam Muhammad Sanusi 11, which turned out to be false accusation. “we cannot go into cross-examination with you. We can only receive a written response from the governor, and that is what we can work with because you are not the governor. The accusation is directly against him. So sending his representation, like we said in the letter, will be in writing and we accept it from you if you tender it before the Committee. Jafar Jafar editor of the Daily Nigeria who posted the video recordings had earlier been interrogated. He added: “This concept of fair hearing can be seen right from day one when commenced the proceedings till today. We have seen transparency in everything. “We have seen fair treatment about the parties concerned. So, we have appreciated on behalf of the general public. I just want to draw the attention of the House probably to the way your information is being taken out to the media which is very important. “Just this morning when I was coming to this particular meeting, I had a reporter reporting that only a single member out of the seven members of the Committee is around—that only one member of the Committee is available. All other members are not available. This was a live broadcast of one of the local radio stations in the state. When I came in, to my surprise, I see all the members sitting and waiting for the parties. “Secondly, the way this invitation letter which was sent to His Excellency was reported was not good. But the way the letter was written showed fairness, it gave options as rightly stated by the Hon. Commissioner of Information. Several option were given either for His Excellency to send his representative, right formally to the Committee or appear in person together with his lawyers, but the way it was reported that Governor has only one option and that is for him to appear before this Committee.